When I last visited Hopewell in 2003, many good things happened, and I was treated kindly. 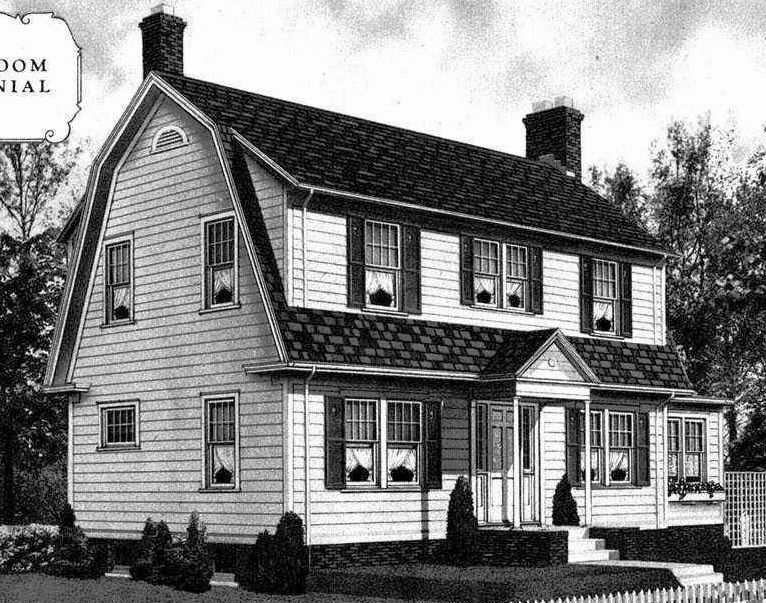 Sadly, I discovered that many of Hopewell’s “Sears Homes” were not really Sears Homes at all. There were some folks in Hopewell that were pretty unhappy about that. Eight years later, when I returned to Hopewell in Spring 2011, I focused on the amazing collection of Aladdin kit homes in that city. While Hopewell has only EIGHT Sears Homes in Crescent Hills, they have dozens and dozens of Aladdin kit homes near the downtown area. More on that here, here, and here. However, I couldn’t resist driving through Crescent Hills and photographing these almost-kinda-but-not-really Sears Homes. 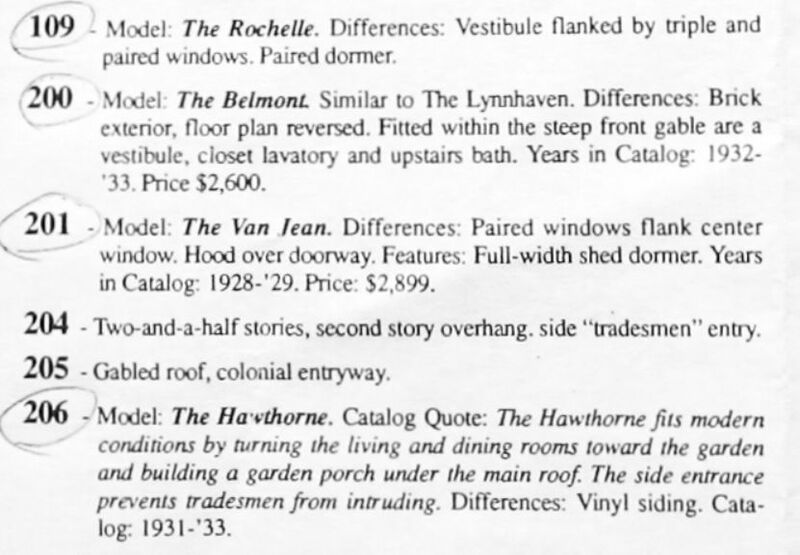 For instance, the city’s brochure states that the house at 201 Prince George Avenue is the Sears Van Jean. Hmmm. 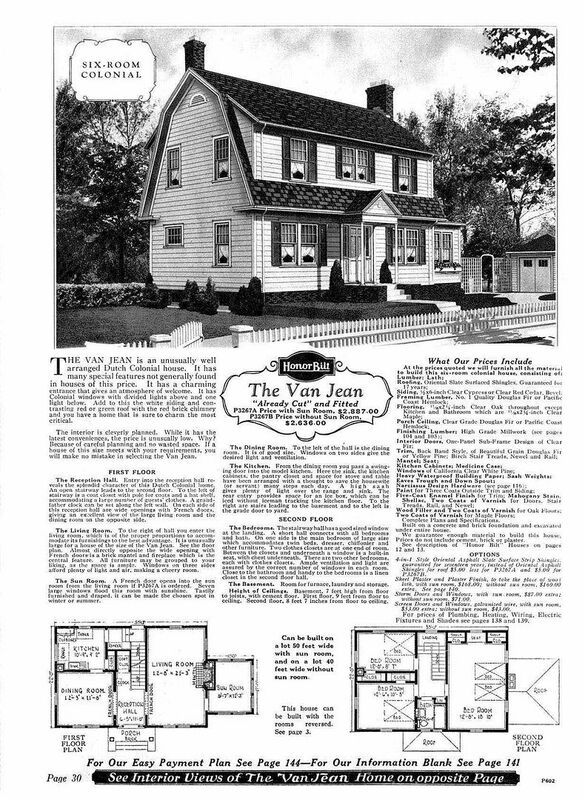 Let’s compare the house on Prince George with a catalog picture of the Sears Van Jean. 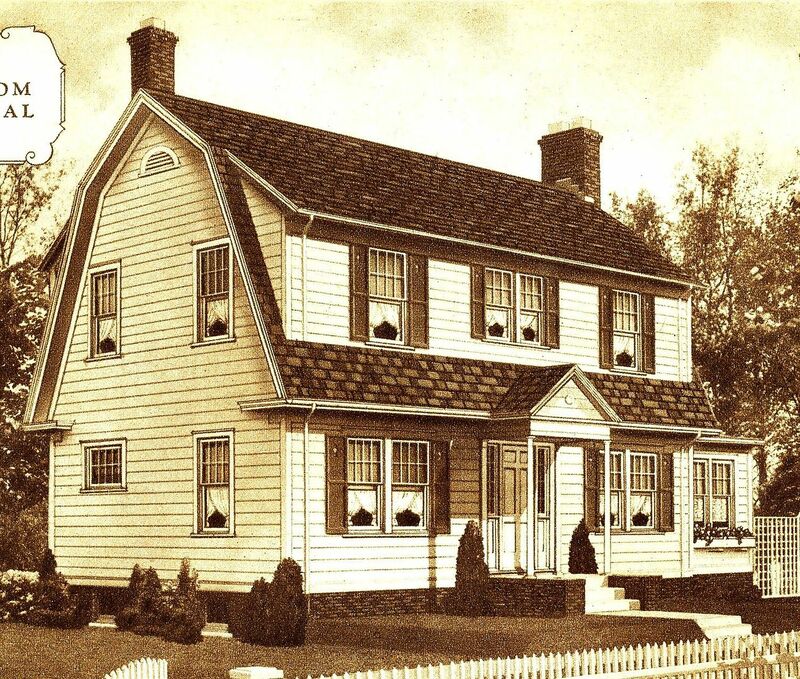 And that’s apparently what’s happened with this pretty Dutch Colonial in Hopewell. Someone made a boo boo. When you look a little closer at the details between these two homes, you see several differences in these two details. And it’s the details that make or break comparisons such as this. 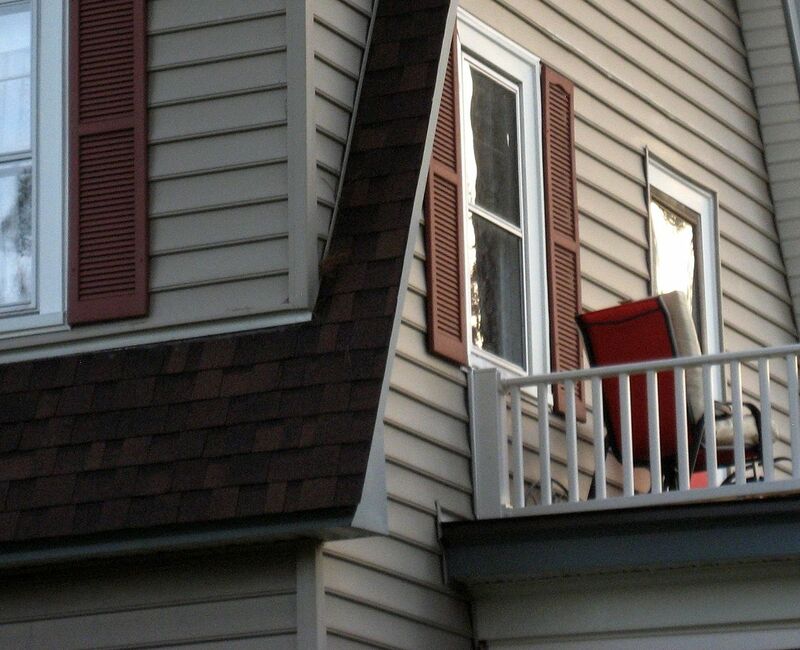 First, look at the front porches. This detail may seem insignificant, but in fact, it's the very kind of detail that is so very important. 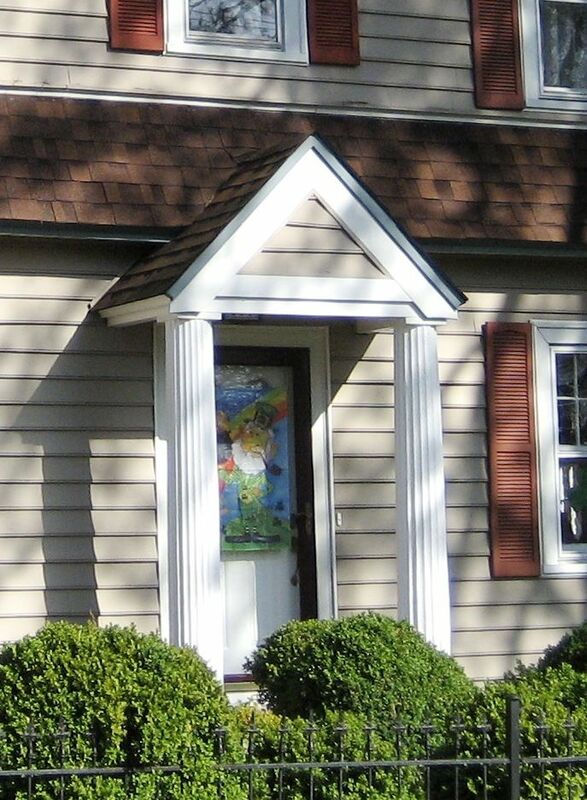 The peak of the porch roof on the Van Jean goes up to the top of that first-floor roofline. The Hopewell house does not. 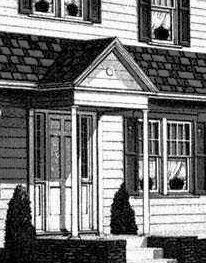 Accordingly, the bottom of the porch roofline on the Van Jean is aligned with the bottom of the first-floor roofline, where the Hopewell house drops down several inches *below* that roofline. 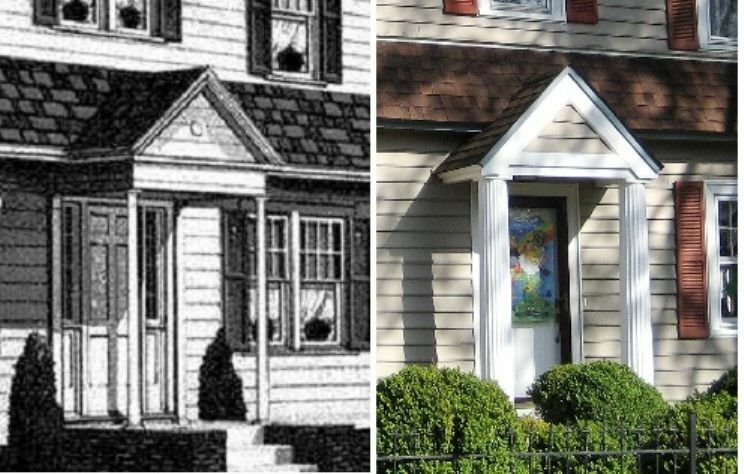 Also, the gabled porch on the Hopewell house is configured differently from the Sears House. The Sears House porch has a closed triangle, with a cross member at the bottom and then a fascia board below that. The Hopewell house terminates at the cross member. That detail carries around the side. Another important detail are the cornice returns. 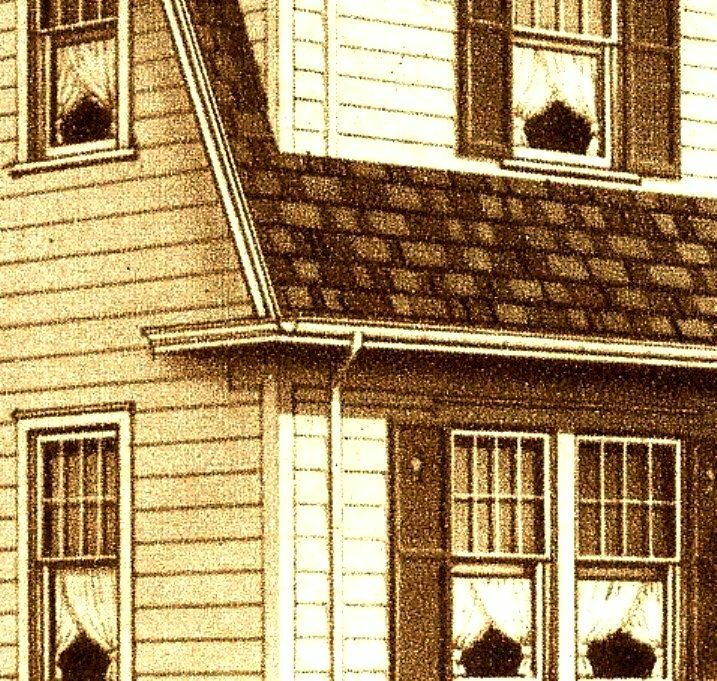 Again - in my book (and I’ve written lots of ‘em), cornice returns are very important details that can not be overlooked or discounted, because details are the very thing that’ll distinguish a Sears Van Jean from your average (but lovely) Dutch Colonial. Notice the serious cornice returns on this Van Jean. They're an important detail! Strike TWO! The Hopewell house has no cornice returns! 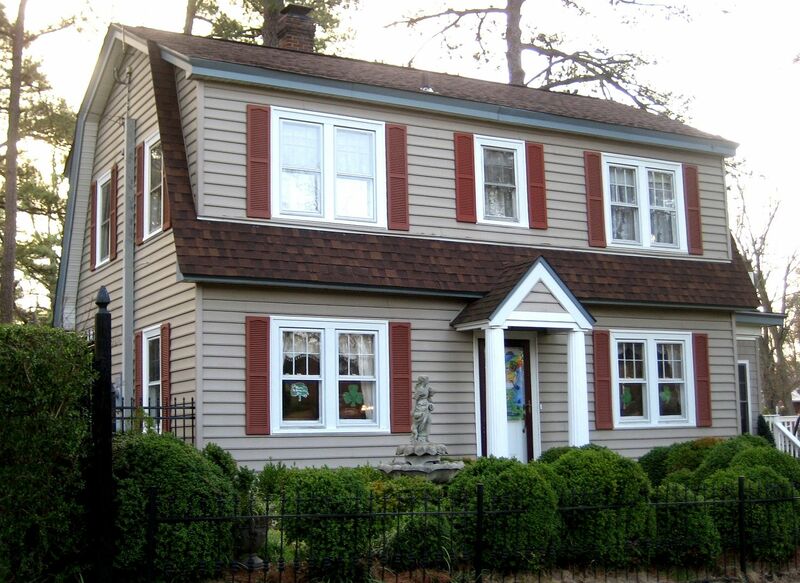 The fourth and final strike for the Hopeful Hopewell House is the fenestration. Gosh I love that word. 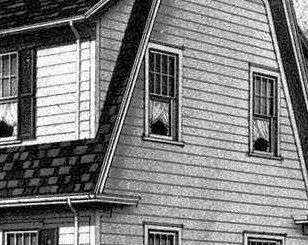 Unless the Hopeful Hopewell House underwent some transmogrification (I love that word too), the fenestration (window arrangement) is wrong. The front door has no sidelights. And judging by the width of the porch roof, it never did have sidelights. That's not good! On the second floor, we have two windows (bedroom), one window (bath) and two windows (bedroom). On the Van Jean we have sidelights, and a porch that spans the width of the door plus sidelights. Plus, we have one bedroom window, paired bathroom windows and another single window. ****BUZZ***** Doesn't match the house above! 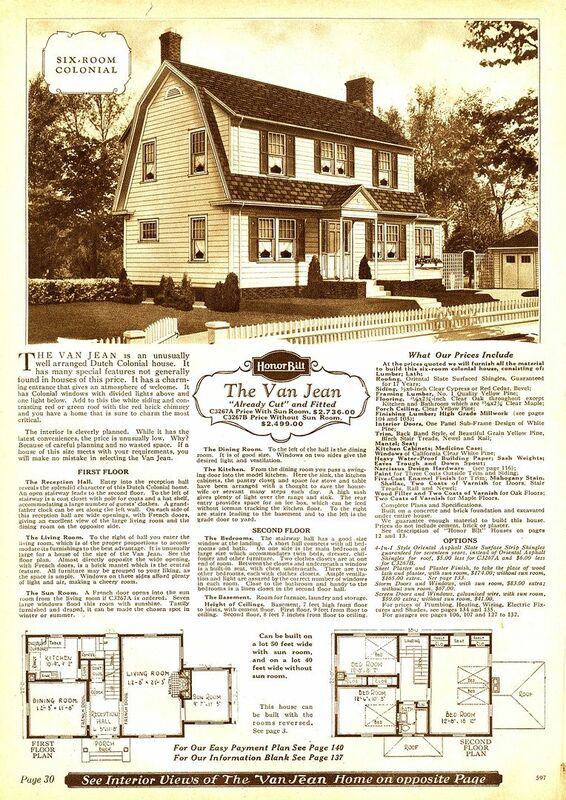 In conclusion, the Dutch Colonial in Hopewell is a real beauty, and fine-looking home but it is not the Sears Van Jean. 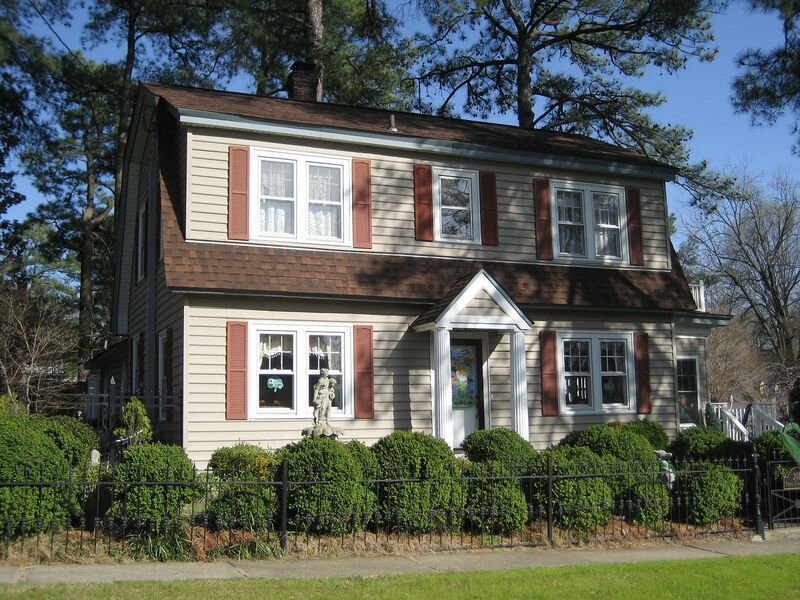 To read more about Hopewell’s Aladdin homes, click here.